Michael Landesmann and Peter Havlik present in Brussels a new wiiw study on the economy of Ukraine and their recommendations for the country’s stabilisation. 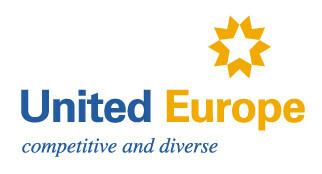 On 15 April 2015, Bertelsmann Stiftung and United Europe host the high-level panel discussion 'How to Help Ukraine’s Economy Reform and Grow' at the Residence Palace in Brussels. They expect Commissioner for European Neighbourhood Policy & Enlargement Negotiations Johannes Hahn to give a keynote address. The panel is chaired by Wolfgang Schüssel, former Chancellor of Austria, with Hryhoriy Nemyria (Chairman Human Rights Committee, Ukrainian Parliament), Peter Havlik and Michael Landesmann (wiiw) and Jacek Kucharczyk (Institute of Public Affairs, Warsaw) acting as panel discussants. Encourage the Ukrainian government to shift spending priorities from the military to more socially-oriented spending and higher public investments. Forgive a large part of Ukraine’s foreign debt and allow the Ukrainian National Bank enough foreign exchange reserves to move to a more stable exchange rate regime. Financial and material assistance should be rigidly tied to progress on dismantling the oligarchic interests which have captured the Ukrainian state. This will require legal system reforms, the severance of relationships between business and politics, proper taxation of oligarchic assets and confiscation of illegally amassed wealth, including assets parked abroad. Apart from fostering EU integration, restore, as much as possible, trade linkages with Russia and the Russia-led Eurasian Economic Union (EEU) via trilateral negotiations. At the same time, develop a long-term modernisation strategy including an industrial policy to improve competitiveness and restructure sectors such as machinery, railway, chemicals, food processing and nuclear. Put together a coherent package to attract foreign direct investment by revitalising the FDI agency InvestUkraine and by setting up business and industrial parks with clear ownership rights, good transport connections, abundant and reliable energy and water supply as well as the support of the competent local/regional administration. Encourage cross-border production linkages with Central European economies. Naturally, the wiiw recommendations were drawn up under the crucial assumption that peace will be restored in the country. The wiiw study ‘How to Stabilise the Economy of Ukraine’, written by the wiiw experts Amat Adarov, Vasily Astrov, Peter Havlik, Gábor Hunya, Michael Landesmann and Leon Podkaminer, can be freely downloaded below.